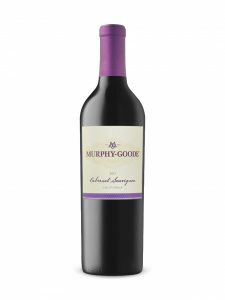 Some wineries struggle with consistency year over year while others like Murphy Goode quietly go about their business making consistently Goode wines, pun intended 🙂 I last reviewed the 2012 Vintage of this wine and enjoyed it. It’s a by the glass wine at Earls. Dark in color with nice nice cherry nose. On the mid palate the wine matches the nose with a lovely fruit forward dark cherries. This is not a fruit bomb but it’s definitely to my mind a drink now style of wine. On the medium length finish the wine displays some nice smooth tnnins nice dryness and some acidity. It’s a well made food friendly cab sauv that will go with lots of different foods. I paired it with lamb and it went well. I would give it an 88+. The LCBO say full bodied and smooth and I’d whole heartedly agree!